I wanted to try a creamy curry but without the dairy in this recipe. There are simple ingredients in this dish, but they are packed with flavour. The mushrooms, too, add a satisfying mouthfeel that means this is a vegan curry you’ll want to eat again and again. Put the ingredients for the spice paste in a blender and blend until smooth. Heat a little oil in a pan and add the cumin seeds. When they start to sizzle and pop add the spice paste. Stir for a minute and then add the mushrooms. Cook for a couple of minutes. While the mushrooms are cooking put the cashew nuts and water into the blender and blend until smooth. Add the peas to the pan, followed by the cashew cream. Stir to mix and then cover. Let simmer for 5 minutes or until the peas are cooked. There is an apocryphal story about Peter Mandelson, one of Labour’s original spin-doctors, who when going around his constituency of Hartlepool, called into a fish and chip shop. He ordered fish and chips and then pointed to a pot of green stuff on the counter – “And I’ll have some of that guacamole,” he said. 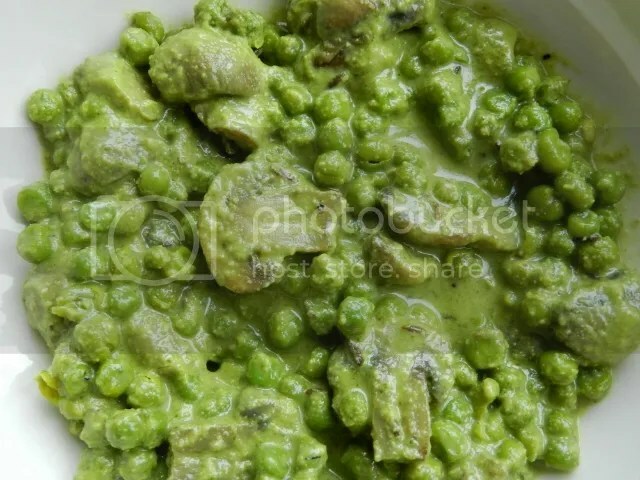 The ‘guacamole’ was mushy peas. 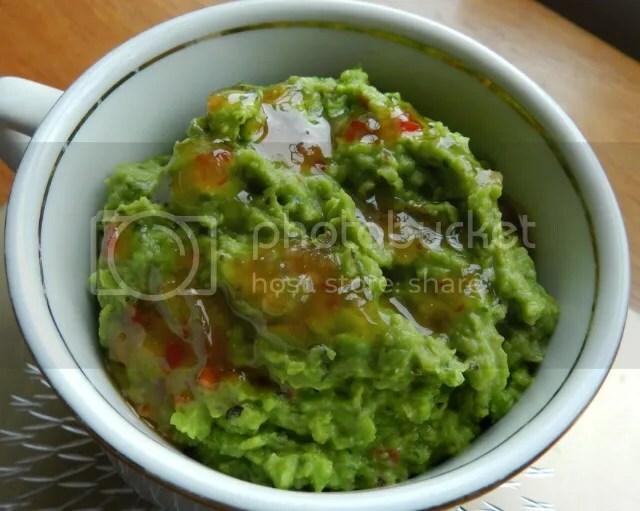 That story is almost certainly untrue, but you can make guacamole with peas instead of avocados. It doesn’t taste the same (obviously) but it’s sweet and spicy, cheaper than using avocados, has fewer calories and you can rustle this up in minutes if you have unexpected guests round. It also does well as a side dish to chilli and rice or as a filling in quesadillas. 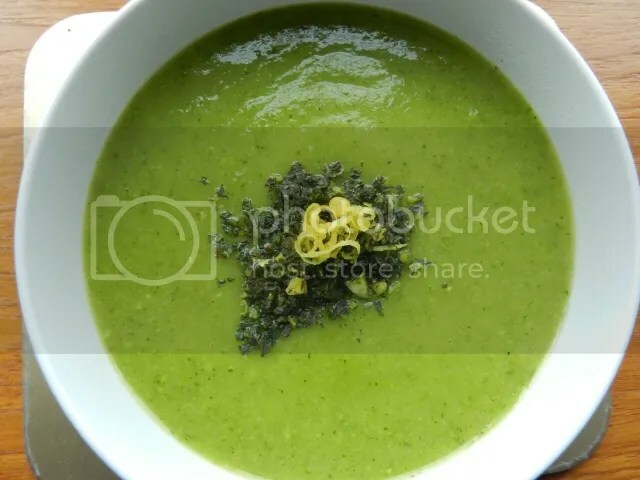 Cook the frozen peas in boiling water until just tender (about 5 minutes). Drain the peas and add to a food processor with the onion, chilli, garlic, coriander, lime juice and olive oil. Blend until it becomes a smooth paste. Put in a bowl and season with salt and pepper. Add more oil if the mixture is too dry. Serve drizzled with the sweet chilli sauce. I think one of the biggest surprises I got when I turned vegetarian was just how much quicker things took to cook. Outside of the larger dried pulses, the trick is to not overcook the vegetables rather than worry about them being undercooked. 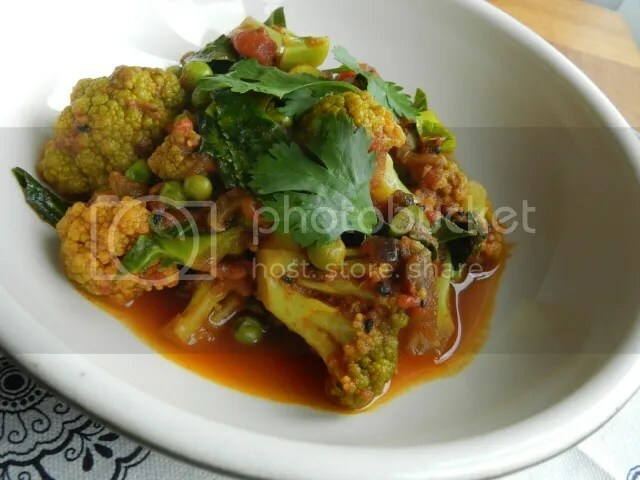 A prime example is this cauliflower curry. If you’d suggested cooking a curry as a midweek evening meal I would have laughed at you, but you can get this one from chopping board to plate in half an hour. It’s also a waste-not-want-not dish as it uses the cauliflower leaves as well as the florets. The cauliflower is the only fresh ingredient (apart from the onion, garlic and ginger and I assume most people keep those in the fridge as a constant). Am I selling this to you yet? – it tastes great as well! Heat some oil in a saucepan, add the mustard seeds and let them splutter for a few seconds. Add the onion, garlic and ginger and fry until the onion has turned golden brown. Add the fennel, cumin, coriander, chilli and turmeric and stir for a minute or so. Then add the tomatoes and the cauliflower. Add the cauliflower leaves, peas and black onion seeds. If the mixture is looking a little dry at this point add a splash or two of boiling water. Cover and simmer for another 5 minutes or until the cauliflower is just tender. Serve with the chopped coriander as a garnish.